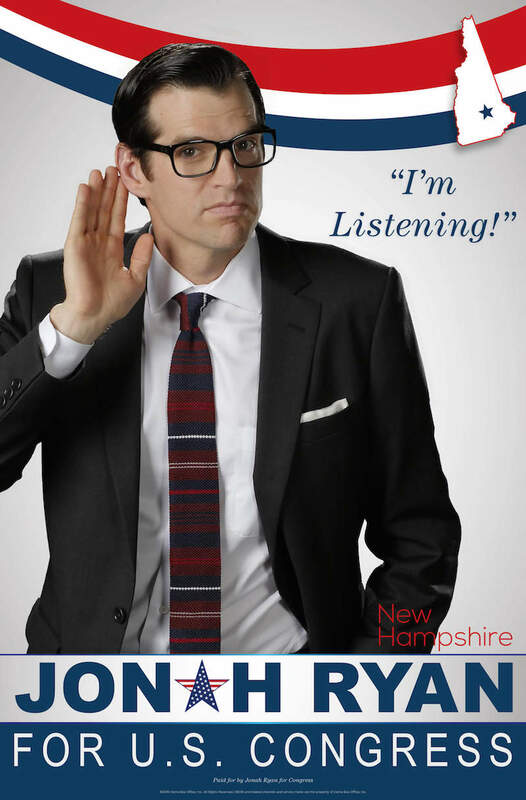 No one could have seen it coming that Jonah Ryan (Timothy Simons) from “Veep” would be running for congressman of New Hampshire. But it happened, and now he is full campaign mode, getting ready to charm those voters and win! HBO released two new campaign ads titled, “Rugged Outsider” and “Coming Home.” In the first one Jonah appears in a flannel shirt, brown vest and jeans with an ax getting ready to chop some wood. “I grew up here in the awesome state of New Hampshire,” Ryan says. The cool and casual candidate talks about his time in Washington and how now as a “political outsider” will fight for change for his great state. In the second video, Jonah is seen in the same outfit walking through the wonderful forests of his home state as the voiceover quotes Robert Frost and talks wonders about him. And, in case you want to support or know more about this candidate, HBO also created his own website www.jonahryanforcongress.com. There, you can donate, volunteer, see pictures of his past and campaign trail and more. Check out the ads above and his official poster below, which lets you know that he’s listening to everyone’s requests. “Veeps” airs Sunday’s on HBO.